Tesla has completed the first installation of Solar Roof including Elon Musk's home. 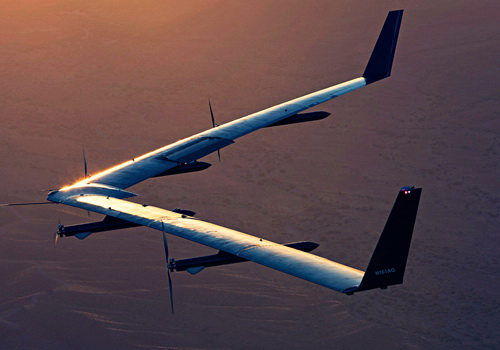 Tesla, Inc. in just one week has challenged two different industries with radical products. Model 3 electric cars have been launched and now the company completed the first solar roof installation. Just like the first Model 3 customers, the first solar roof customers were Tesla employees. Tesla has done historic work in this week. The successful launch of Model 3 cars last Friday and is now the first installation of Solar Roofs products. The first priority customers are Tesla employees for the purpose of addressing issues in the sales and installation process before bringing to the wider general customers. The company claims the Solar Roof is three times stronger than conventional roof glass and offers product warranty up to life-time home or any age or whichever comes first. 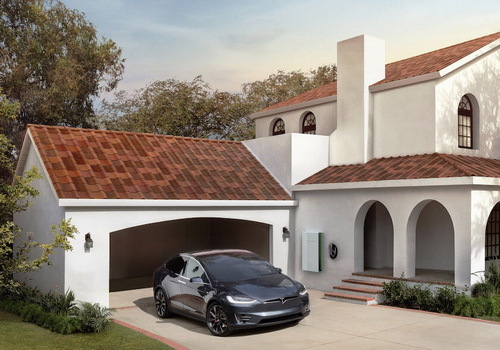 The Tesla solar tile comes with Class 4 ANSI FM 4473 for hail rating, Class F ASTM D3161 for wind, and Class A UL 790 for fire. "We recommend that each Solar Roof be installed with a Powerwall battery to allow you to use more of your roofing solar power and keep your home running during grid disturbances," Tesla said in a statement. "In states that do not have Net Energy Metering policies, we estimate and recommend a number of Powerwalls that will enable you to realize the full benefits of your Solar Roof energy," Tesla said. 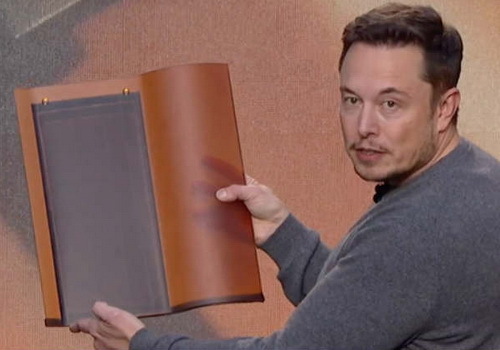 Tesla opened an online store in May and began opening a US$1,000 deposit for a smooth black and textured glass tile that is virtually indistinguishable from an upscale roof. Modern designs look like standard materials, but allow light to penetrate solar cells that are embedded beneath the surface. Solar Roof was developed by SolarCity Corp. which was acquired by Tesla last year for US$2 billion. Initial trials found the new approach is 50 to 100 percent more effective than the original SolarCity product. Tesla stopped SolarCity's door-to-door sales earlier this year and managed more than 70 stores for the sale of Solar Roof. Solar tile production begins in Fremont in California, but will shift later this year to a new plant in Buffalo, New York, with additional investment from Panasonic. Musk said initial sales would be limited by production capacity. By 2018 sales will expand to UK, Australia, and worldwide.